This time last week, we were busy telling you about how Facebook has no plans to slow down the incessant promotion of it’s own Stories feature (despite a relative lack of interest from its user base as a whole). 7 days ago, the latest Stories update was the addition of call to action buttons. We predicted it would be the start of many 2019 Facebook Stories developments, and it looks like we were right because there’s already a new one to tell you about. 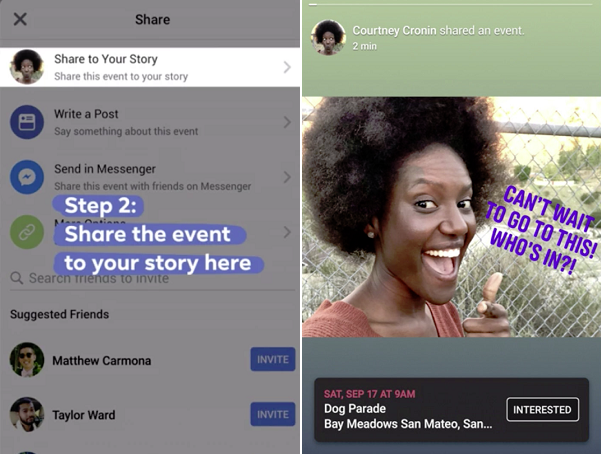 Facebook is now testing an option that will allow you to share events you’re interested in straight to your story. Once shared, your connections will not only be able to see which events have caught your eye, but actually register their own interest too. Back in October last year, Twitter announced that some new features were being considered – all revolved around making it easier for users to interact and express themselves. And now, the company has exclusively revealed that it’s launching a programme to test the features out more broadly. Anyone can register to be part of the trial but only a few thousand will be chosen to participate. As mentioned, the updates mainly revolve around starting, and continuing, conversations more intuitively. Improved replies layout: everyone knows how hectic Twitter threads can be. 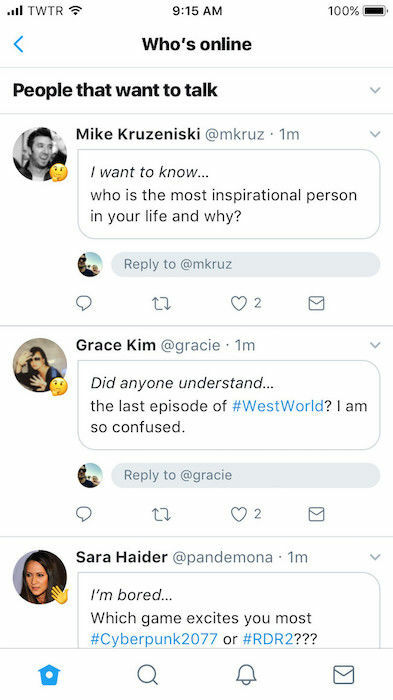 One of the changes being considered is colour coded replies, with comments from the original poster in one colour and other people’s replies in a different colour. Replies will also be threaded and indented. The reply option itself could get a redesign too, appearing as a text field rather than a conversation bubble icon. Icebreakers: using this potential new feature, you would be able to “pin” a Tweet to your profile to indicate what you’d like to chat about at that moment in time. Status indicators: as well as setting a live status, you could soon also be able to publish actual written status… yes, just like Facebook. Twitter will ask members of the test group for detailed feedback to get a clear sense of which elements are well-liked – or not – before rolling them out to everyone. People are strange. And YouTube’s had enough. Let’s rewind for a second. Some of us watch a movie, say Bird Box for example, enjoy it, maybe have a little chat about it with a friend, and then move on with our lives. Of course, it’s rarely a good idea. And we all know what happens next. #[insert dangerous activity]challenge goes viral, and before you know it serious harm – or sometimes death – is caused. Social media has a huge part to play in #challenge culture and the spread of each one’s popularity. The more people see others doing extreme and risky stunts, the more (for some reason) they want to try too. And now YouTube is cracking down. While the company is all in favour of fun challenges and pranks catching on, it’s starting to get strict with creators by making it clear that content encouraging dangerous behaviour won’t be tolerated. YouTube has put new policies in place as part of its Community Guidelines, you can take a look below. Any violators of this will get a 90-day strike with privileges (like live streaming) removed. Get three more strikes within this timeframe and you’ll be a YouTuber no more. 4. Study: micro-influencers and brands – what’s the deal? Social Media Today has surveyed 1,000 micro-influencers (signed up to its SocialPubli.com platform) to dive into their relationships with brands. Before we go any further, let’s quickly define micro-influencers. As opposed to major social celebs with millions of followers, micro-influencers typically have a smaller but highly engaged community of around 10,000. However, they are still considered to have authority, expertise and influence. Brands may choose to work with micro-influencers because they cost less, because a more niche audience is preferable or because this group are often considered to have more authentic interactions with their followers. And this subsection of the influencer market is big business, making up the largest portion of influencers across all platforms (as outlined by Social Media Today). Now that’s all sorted, let’s get back to the study and take a look at the 4 most interesting findings. 2018 wasn’t short of data privacy scandals, so the results of a recent study maybe aren’t as shocking as you’d first expect. With trust being a hot topic in the digital world right now, it makes sense for the reliability of voice search to be in question as well. Now this isn’t the largest sample size, nor does it represent worldwide or future trends. 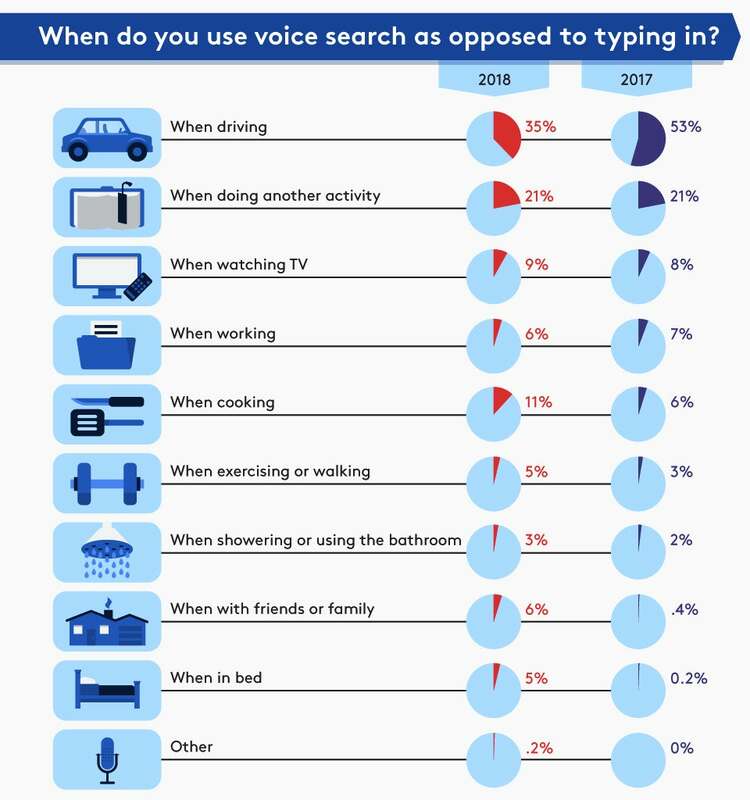 But if you ask me, the novelty seems to be wearing off and users are expecting a lot more from their voice assistants. The question is, can current technology live up to the hype?